The download command is what you should be using most often when getting results from Shodan since it lets you save the results and process them afterwards using the parsecommand. Because paging through results uses query credits, it makes sense to always store searches that you’re doing so you won’t need to use query credits for a search you already did in the past. 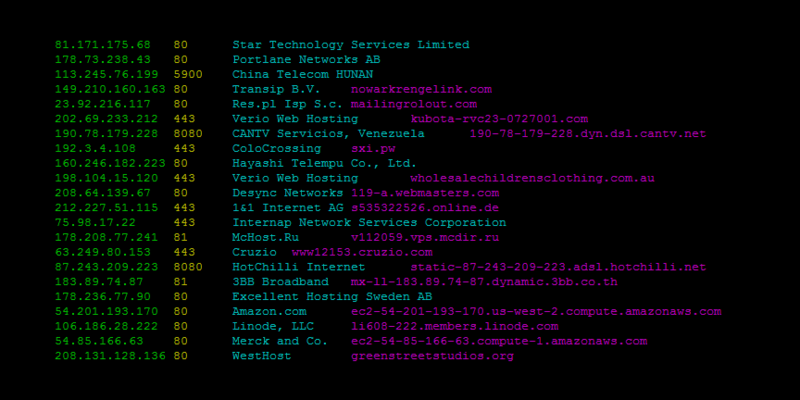 See information about the host such as where it’s located, what ports are open and which organization owns the IP. Use parse to analyze a file that was generated using the download command. It lets you filter out the fields that you’re interested in, convert the JSON to a CSV and is friendly for pipe-ing to other scripts. 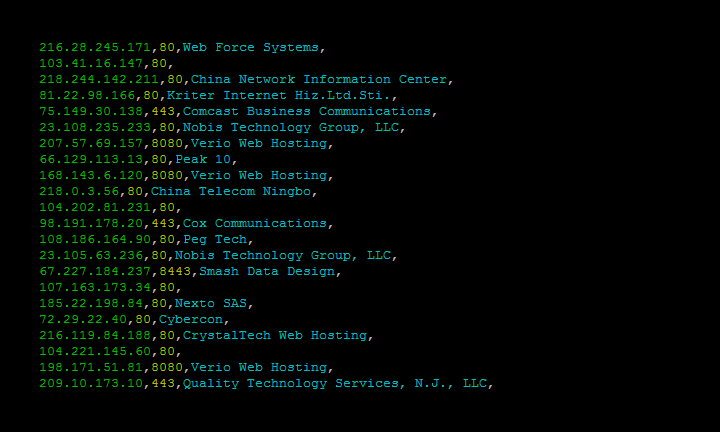 This command lets you search Shodan and view the results in a terminal-friendly way. By default it will display the IP, port, hostnames and data. You can use the –fields parameter to print whichever banner fields you’re interested in.